Getting married is an expensive affair, and it doesn’t even begin with the wedding preparation at all, but with the engagement. For most modern couples, the start of the journey to a married life begins with the presentation of an engagement ring, but how do you even start selecting a ring that will express everything you feel for that special person? And is it more difficult to pick a wedding ring that will symbolize your commitment to each other? Let’s look at the factors to consider when selecting the engagement ring and the wedding rings. An engagement ring isn’t just worn before the wedding, but it should also last for a lifetime as a reminder of your love for the person. A lot of people also love to show it off, because like it or not, there seems to be an unwritten rule that a proposal ring should be catchier than the wedding bands. •	Cost: The engagement ring is going to be expensive, so you should set a limit to how much you’re willing to spend for it. You might be tempted to give the priciest ring you can afford, but remember that the price isn’t the only thing you should consider. •	Gemstone: Let’s face it, a lot of people are attracted to the diamond, but there are also precious and semi-precious gems that are just as beautiful. If your partner knows how to pick gemstones, you’ll be embarrassed to know that it’s not just about the type of gemstone anymore, but the quality of the stone. •	Four Cs: When you speak of gemstone quality, there are four ways to determine if you’re buying excellent stones or not. The four Cs, such as color, clarity, cut and carat weight, don’t just apply to diamonds, but other gemstones as well. 1. Color – Some clear gemstones for lovely and beautiful marriage rings in Singapore fetch higher prices than diamonds, that’s because more saturated the color of the gem, the rarer it is. 2. Clarity – Most gems have inclusions or blemishes acquired from their exposure to earth and other natural factors. It doesn’t mean that it’s poor quality, but inclusions can either make the gem more beautiful or appear dull. 3. Cut – How the gem was cut will affect its brilliance and scintillation. If the diamond is clear, for example, but poorly cut, the gem will look dull and cheap. If you’re going to choose a round diamond, experts recommend that you look for the arrows and hearts pattern that reflect the most light. 4. Carat Weight – Gemstones are weighed in carats, and this can affect the price of the ring. The heavier or the bigger the gemstones, the more expensive the item is. •	Setting: Gemstones are held in place by prongs. Most experts recommend that you look for either a four-prong or six-prong setting so that the stone doesn’t fall off. •	Metal: Consider the type of metal for the ring band. Platinum is the most popular metal for gemstones because it’s durable and ductile, but you can also consider gold, silver, titanium, and white/rose gold. •	Lifestyle: Keep in mind your partner’s taste and lifestyle. Don’t give him/her something that he/she would be embarrassed to wear. •	Protection: If you decide to get a diamond ring, make sure that you ask for the certificate that details its characteristics. This certificate is separate from the warranty and appraisal of the jeweler. Legitimate diamond and other gemstone certificates are issued by any of the following: GIA, AGS, EGL, and HRD. 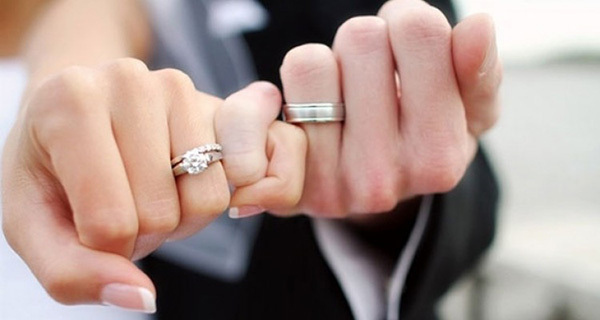 You and your partner should choose the wedding rings together to reflect both your tastes. Think of this tedious task as a prelude to many more such adventures (and misadventures) together once you’re married. •	Shop: Select only the shops in Singapore that have a solid reputation and have years of experience in wedding rings. This is even more important if you decide to get a customized wedding ring. 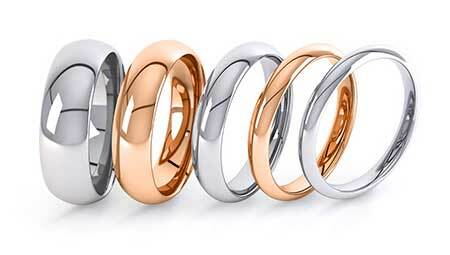 •	Band: Your wedding ring should go with any type and color of outfit for any occasion, so pick gold, white gold or platinum for the metal. However, keep in mind that all these metals have their pros and cons. •	Gemstone: Some gems tend to be fragile and are prone to scratching and chipping, that is why most wedding bands don’t have them. If you both decide to pick a gemstone, make sure to pick the most secure setting. 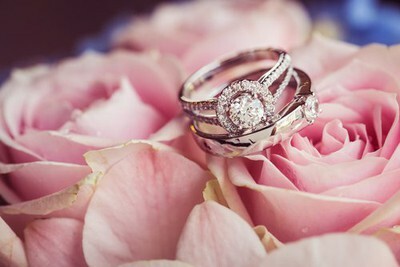 •	Quality: The wedding rings are not worn for certain occasions only, so pick materials that will last as long as (or longer than) your love for each other. •	Size: You should both book the fitting appointment at the time when your body temperature is normal and when you’re in a calm mood, and not in the morning or after a gym session. •	Lifestyle: It’s important to consider both your lifestyle, because you would want a wedding ring that is durable and will not chip easily when it comes into contact with other materials. •	Maintenance: You will know you’ve picked the best shop in Singapore if they can present you with a detailed receipt, the appropriate certificates (for gemstones), and a warranty that includes repairs and cleaning. Remember that as you both grow older together, the wedding ring might need resizing and repairs when your bodies change. •	Vintage Ring: Antique rings are also becoming popular in some shops in Singapore for their unique styles and patterns. When purchasing one, consider the material, condition, provenance, and era of the ring. 1. Material – To determine if you’re getting quality material, refer to the four Cs above. 2. Condition – Some antique rings need to be restored or resized, so check the history of the ring with your jeweler. 3. Provenance – This refers to the original certificates, receipts or papers that guarantee that it’s an antique. 4. Era – Some rings bear the mark or design of the period when it was created. You should expect that the older the ring is, the higher the price.